If you've never been to Tokyo, it's going to be overwhelming. Language alone, is going to make your trip more complicated, then there's the local customs. My advice, try not to do it all. Yes, getting there is expensive, and there's some amazing things to do and see, but that's the thing, there are just too many. Instead, pick your dinner plans in advance (get a local to make your reservations), decide on one or two things to visit a day (hopefully this guide will help you with that decision) and leave the rest unplanned and simply explore the surrounded areas. I would prepare for your trip at least a couple of weeks in advance. Learn basic greetings (I downloaded this app, and just used it as my translator), download some podcasts about the city, and make sure you're aware of local customs (no tipping, bowing, chopstick and onsen etiquettes etc.) Tokyo is a big city, so it's good to plan your days by neighborhood to really get the most of out them, and that's how this Passerguide will be set. Allow a little bit more time to find places (it'll be hard to recognize street names), I recommend loading your google maps before your adventure, and starring places you want to visit. Before I get into the different neighborhoods, let's get your accommodation out of the way. If you want to go big, stay at the Park Hyatt Shinjuku. If you're on a budget, and let's be honest you'll barely be staying at your room anyway, just get yourself an Airbnb, you'll get much more bank for your buck and that'll allow you to splurge on Omakases. If you want to go big. Go to Park Hyatt Shinjuku. It might not be the trendiest, or design forward spot, but hey, there's a reason Sofia Coppola shot Lost in Translation there. If you're traveling as a couple, add the fact that you're on your honeymoon and you'll most likely get an upgrade. The rooms are stocked with Aesop products, and gorgeous Kimonos (that you should just keep). Ryuichi Sakamoto fans will be pleased to find one off record made for the hotel. Tokyo's original – and best – boutique hotel lies smack in the middle of the city's design district, in an affluent residential neighbourhood. It's a bit off the map, but with that comes a taste of Tokyo's quieter, more livable side. Opened in 2003 in what was then an ageing business hotel (the facade remains), the Claska has stunning Japanese modern rooms with crisp lines and a cool palette; some have private terraces, tatami floors or glass-cased bathrooms. I stayed at this Airbnb, and I highly recommend it (Thank you Koseki!) Shibuya is ideal as it closes to all the good spots, as well as the iconic Shibuya crossing. Figure out which neighborhoods you see yourself spending the most time in and filter your Airbnb search that way. I'd recommend looking around Shibuya or Daikanyama. Directly adjacent to some of Tokyo's most important historic sites, a contemporary creative center emerges. The Gate Hotel stands poised between the cultural heritage of an old city district and luminous modern-day Tokyo. Step out of the elevator and into the thirteenth-floor lobby and you are treated to a gently curving panoramic view of the city below, as well as stunning views of the Tokyo Skytree – the highest freestanding broadcasting tower in the world at 634 meters. Accommodation set. Let's explore those neighborhoods. Day one, you're going to be jet-lagged, so just stay local. In my case, I was staying at Shibuya, so let's start there. Although if you are staying in Shibuya, I would set aside at least 2 to 3 days to do it right. Not knowing where to grocery shop, I was pleased to discover Japan's subterranean food halls. 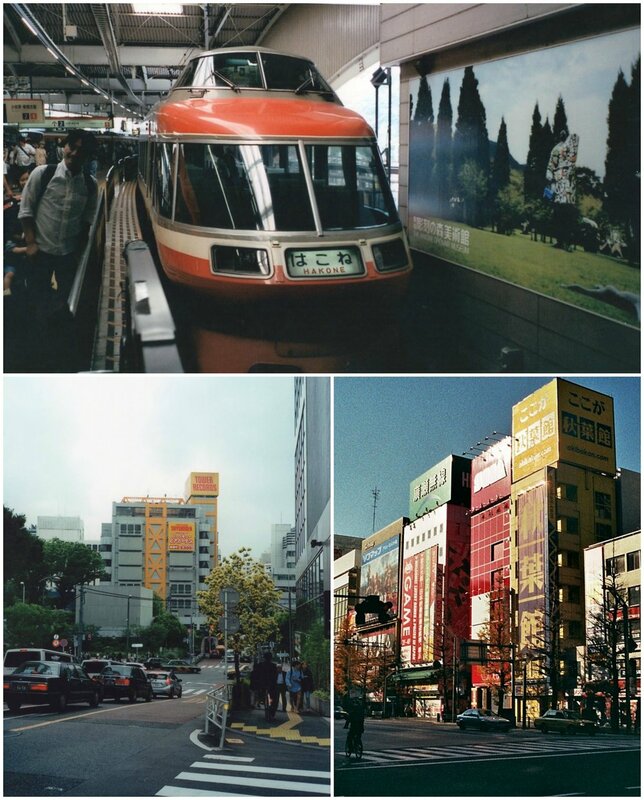 A quick google search described these underground food court/gourmet supermarkets as "depachika' or 'depatos' and that most large train stations housed one. This is nothing like you've experienced. Some of the world's best food is housed under these train stations, and if Tokyu Food Show doesn't cut it (it'll always be my favorite as it was my first), there's Takashimaya, Mitsukoshi & more. All I'm saying is, do not miss the dessert section. So 7-Elevens in Tokyo are very much different to the ones in the United States. For one, it's totally acceptable to grab coffee, or lunch there. The best thing they got is their onigiri (which I could easily live off). If you're on a budget, I'd grab lunch here, and go bigger for dinner. Their sandwiches are pretty great too. I was dead set on going to a cat cafe, and was very excited about it. But after being warned that they are overcrowded, somewhat of a tourist trap, and that the cats aren't all that. I have no regrets. Electric Town: The Gamer's Mecca. Okay this is not exactly in Akihabara, but it's close enough. Now, bear with me on this, you might think that it's crazy to spend $200 to get dressed up as a geisha, but this was absolutely worth it/necessary. Granted, I got the Oiran plan instead of the geisha plan (of course it had to be cheaper) not knowing I was getting dressed up as prostitute, but you know what - no regrets. I thought this was going to be a tourist trap and extremely cheesy, but honestly, this was extremely entertaining and fun - they really put their all in the show, and it was extremely impressive. Now, I definitely would not eat there, the food looked pretty suspect, and honestly, it's not really the vibe - just get a beer and maybe popcorn, it's cheap and you're set. A little tip: go to a tourist office and you can get 2000 Yen off, or try to get a coupon from a Time Out Magazine - DON'T PAY THE 8000 Yen! Located in the middle of an upper class residential area, the street leading towards it dark except for the illuminated entrance, Kogentey is a welcomed oasis in the heart of Sakurashinmachi. Two restaurants and a cafe built as warm wooden structures sit in its lovely compound. You don’t find this kind of architecture a lot in Tokyo.